Our gift vouchers are a ticket to a high-octane, heart hammering driving experience. With our rally driving days, you will enjoy plenty of ‘hands-on driving’ and learn everything from slides and drifts to opposite lock. Three miles of winding rally stages await at Phil Price Rally School, with stunning views over the Welsh countryside at a venue so good, it’s regularly used by top Rally Works Teams for pre-event testing. You will have one-on-one tuition from a highly experienced instructor who can teach you the techniques needed to get started in rally driving. Our instructors have been in the industry since the 1980s and Phil, the owner of the rally school, has competed in over 100 National & International Rally events. Rally driving is one of the most exciting motorsports and we can provide the ride of a lifetime with our One Day Intense Courses. 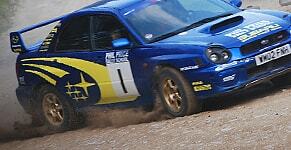 Our rally driving experiences are packed full of action and spend as little time on theory as possible. Rated 5/5 by previous participants, we promise a full day of driving and an amazing experience for everybody involved. All our professional instructors are fully qualified and have BARS Instructor Licences. They are highly passionate about this motorsport and know their passion will transfer to you! 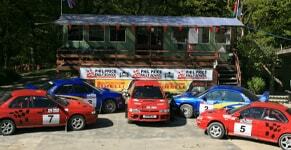 Discover more about our rally driving experiences today.